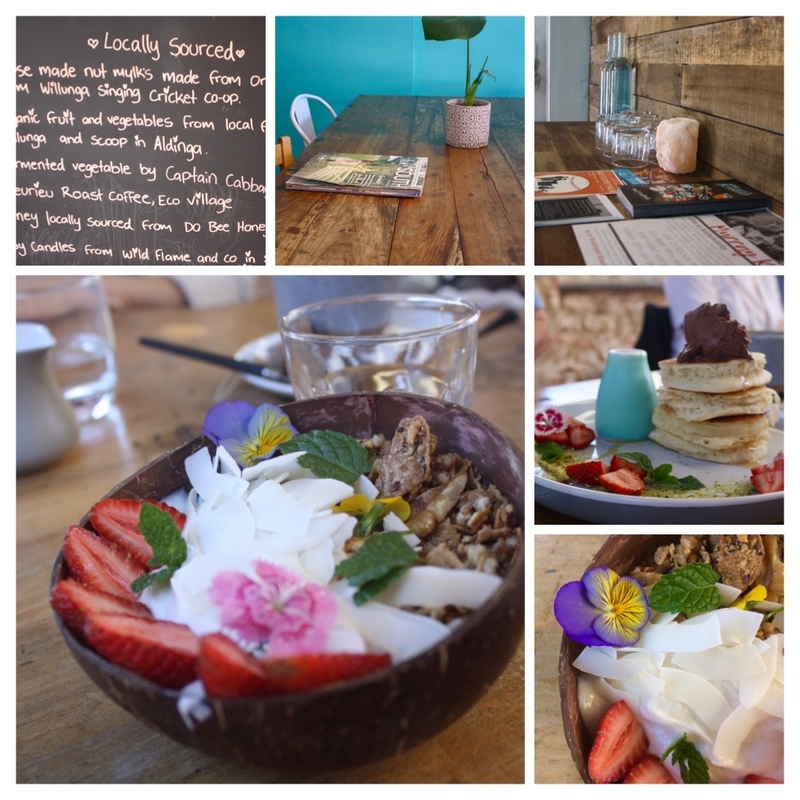 Breakfast is my favourite meal of the day and my search for new and healthy cafes has led me to a place that prides itself on using the best and most wholesome ingredients. 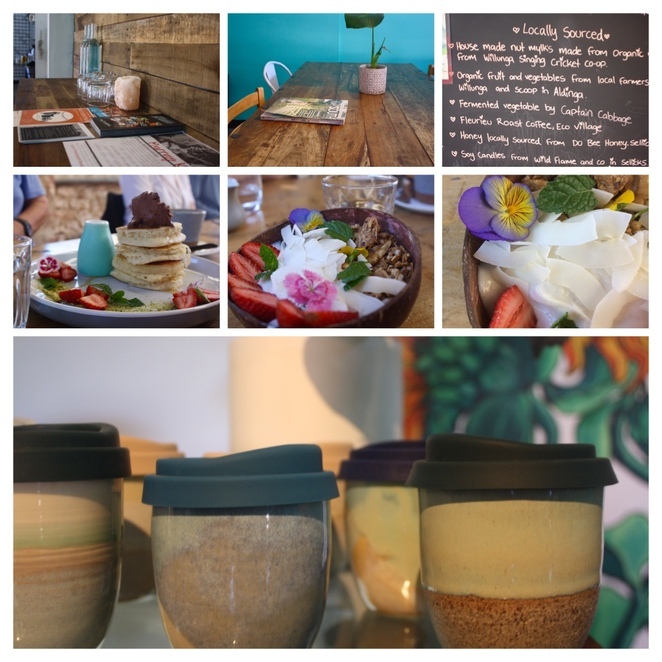 Nourish Me Happy Cafe is located in the newly rejuvenated and renovated area of Aldinga. There are a plethora of cafes, the well-known Home Grain Bakery and clothing and apparel store Miss Gladys on Sea in close proximity. Nourish Me Happy Café has its café building to the rear of 22 Old Coach Road, Aldinga, they are co-located on this site with Aldinga Pizza & Pasta. Nourish Me Happy has an ethos of providing nourishing local organic food that is good for the body and soul. The food is handcrafted and seasonal, they advocate good gut health and use ingredients like grains, nuts, kombucha and fermented vegetables. The cafe makes it own nut milk from organic nuts that are sourced from Willunga Singing Cricket Co-Op. Organic fruit and vegetables are bought from local farmers and markets. The all-important litmus coffee test was passed with flying colours, the coffee being sourced from Fleurieu Roast Coffee. There are many local producers featured, another being Do Bee Honey from Aldinga Beach. The menu has traditional bacon and egg combinations and highly popular vegan pancakes served with maple syrup. 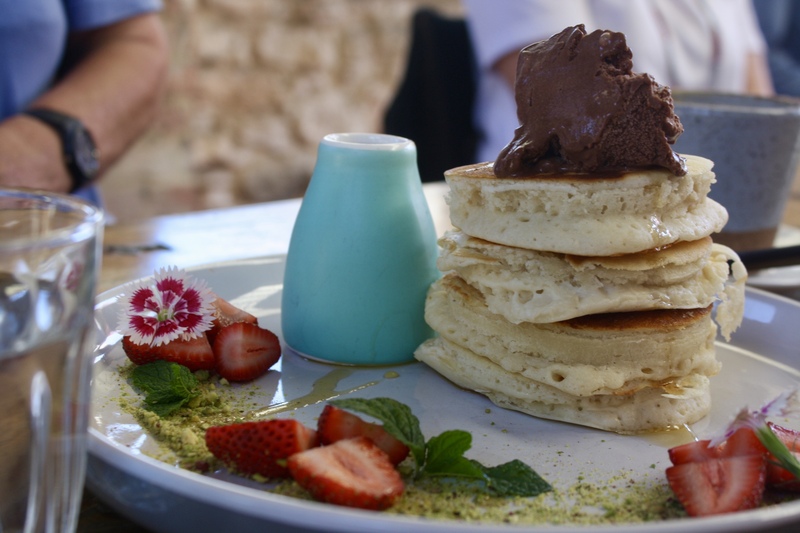 There is always the option of sharing a plate of pancakes for two people, although I would be too tempted to eat the lot! Smoothies are another healthy favourite. Their signature dish is the Nourish Bowl, the actual serving bowl being made from half a coconut shell. The nourish bowl is full to the brim with creamy coconut yoghurt, fruit, nuts and shaved coconut pieces. It looks and tastes good. 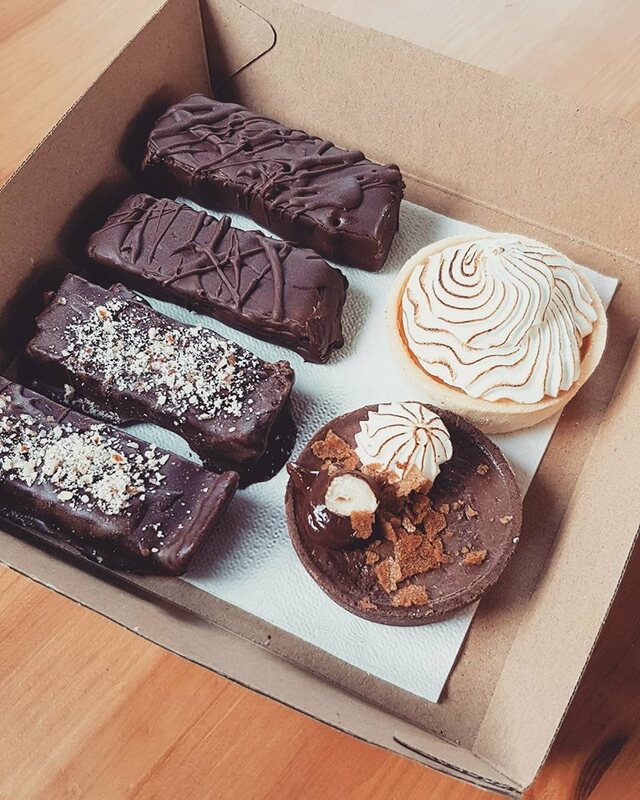 The cafe has given its approval to a range of decadent chocolate bars and cakes that are hard to resist. In addition to a range of ceramic coffee cups for sale that would enhance any home. The café has indoor and outdoor seating with a large bougainvillea tree providing a glorious canopy in their outdoor area. Outdoor seating with a large bougainvillea tree providing a glorious canopy in their outdoor area. If you are a local put this place on your list of café destinations if you are a city-visitor why not pop in while touring the Fleurieu Peninsula. When: Closed Monday & Tuesday, 8.30am to 2.30 pm Wednesday, Thursday & Friday. 7.30am to 2pm Saturday and Sunday.